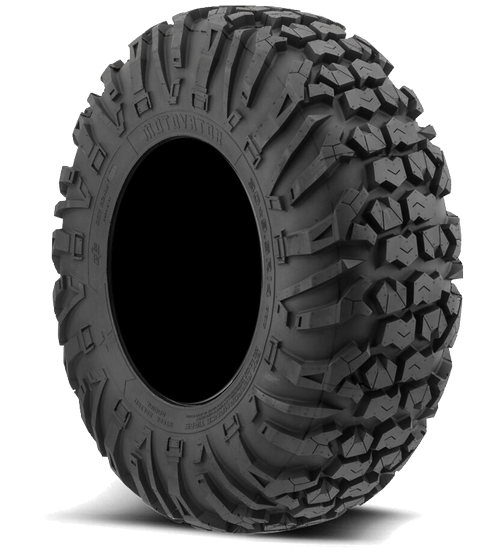 The EFX Motovator is a radial, steel belted, puncture resistant tire that is capable of high speeds on hard pack surfaces. 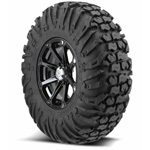 It was specifically developed for harsh terrain. With its cutting edge engineering and improved safety, the EFX Motovator has top notch performance. Utilizing truck engineering, the inner and outer bead are belted to ensure the smoothest, quietest ride. Its unique center tread patter provides a huge contact patch to ensure when you mash your pedal, your machine will respond! 8 Ply Rating, Steel belted, Radial Kit! 8�Ply Rating, Steel Belted, Radial!